A boost to defence spending is a signal France is prepared to lead on major European and global security challenges. True to his pledge made during the French election campaign last year, President Emmanuel Macron last week put forward a proposal for a substantial and welcome increase in France’s defence budget. This move follows at least a decade of reductions in French defence spending. Macron’s election commitment had been looking slightly shaky after a controversial cut to France’s 2017 defence budget, which led to the resignation last July of France’s then Chief of Defence Staff, General Pierre de Villiers. De Villiers had made critical comments about the reduction; Macron reminded him publicly who’s boss. Despite the cut, at the time Macron confirmed his promise of an increase in French defence spending, starting in 2018. Now he seems to have delivered. The defence budget proposal provides for an additional €1.8 billion this year, bringing expenditure to €34.2 billion in 2018. It then provides for an increase of €1.7 billion each year through to 2022, when the next Presidential election takes place. After 2022, defence spending will go up by €3 billion a year until 2025. The aim is to reach NATO’s target of spending 2% of GDP on defence by 2024. According to French Defence Minister Florence Parly, the additional money will (among other things) go towards modernising France’s nuclear arsenal; the country’s first armed drones; new nuclear combat submarines; intelligence satellites; meeting cyber threats; increasing the size of the army; strengthening France’s bases in Africa and the Gulf; and additional fighter aircraft. When presenting the budget plan, Parly noted that “the world is more uncertain and the threats are more and diffuse”, and added that France needs to maintain its global influence, intervening where its interests are threatened and where it’s needed for global stability. The Macron government’s announcement will mean a serious boost to France’s defence capacity. But it is much more than that. For a start, the Trump administration will welcome the announcement very warmly; it positions France more directly as a reliable and relevant partner for the US in Europe and globally. The increased spending sends a strong signal about the seriousness of France’s commitment and leadership. As it happens, US Defense Secretary Jim Mattis was in Brussels on 14–15 February for a meeting of NATO Defence Ministers. One item on their agenda was to review progress towards NATO’s 2% of GDP target. Mattis continued to argue that other NATO members should shoulder more of the defence burden, something that US President Donald Trump has been pushing aggressively since taking office. Mattis reportedly told NATO members (behind closed doors) that they needed to show the same commitment to spending more on defence that the US had shown through its own very significant defence budget lift. NATO members, he apparently reiterated, needed to do more, or risk a reduction of US military support. In fact, the US point is well made. Very few NATO members have reached, or are anywhere near reaching, the 2% of GDP target. 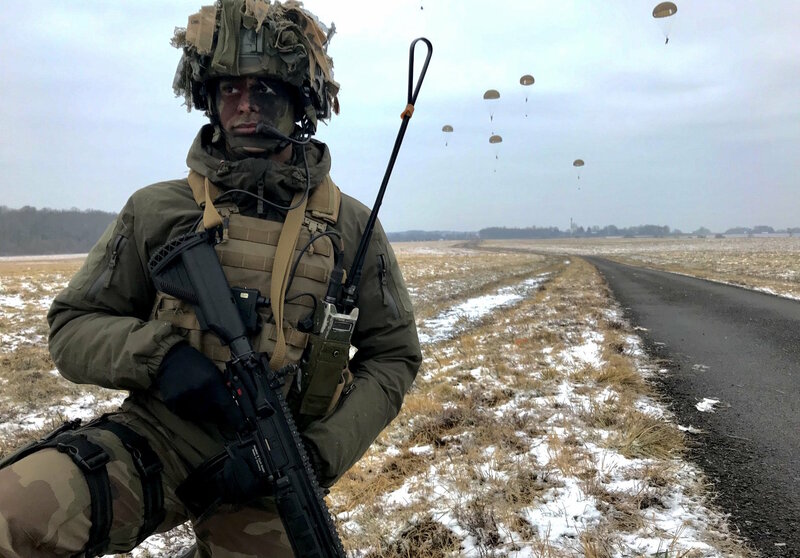 On 13 February NATO’s Secretary General Jens Stoltenberg said only eight NATO members are expected to reach the target this year, and very few (15, leaving aside the US, of NATO’s 28 members) are likely to reach it by 2024. France is now on track to join that club. Stoltenberg put a brave face on these statistics, noting that NATO members as a whole had increased defence spending. But it doesn’t alter the fact that several members are unlikely to meet the target. One of the worst offenders is Germany, Europe’s largest economy and the fourth-largest economy globally. Although Germany has indicated it will lift the defence budget by around €250 million a year, the fact is German defence expenditure is only around 1.24% of GDP, and considerably more funding will be required to achieve NATO’s target. Even that modest ambition is up for discussion. Five months on from last September’s elections, Chancellor Angela Merkel is still struggling to put together a new government, and the current draft agreement on a new Christian Democrat/Christian Social Union (CDU/CSU) grand coalition with the Social Democrats (SPD) doesn’t even mention the 2% target. Germany's caretaker Defence Minister Ursula von der Leyen strongly supports achieving the NATO goal. But the SPD, especially caretaker SPD Foreign Minister Sigmar Gabriel (but others too), see greater priorities elsewhere for Germany’s budget. Macron’s announcement contrasts starkly to the reticence, differences, and confusion in Germany, and is a signal that France is prepared to lead on major European and global security challenges. How does Australia rate against this background? In outlining the 2017/18 defence budget, Defence Industry Minister Christopher Pyne noted that planned increases mean Australia’s defence expenditure would reach 2% of GDP by 2020/21, a full three years ahead of NATO’s (and France’s) target. Interesting food for thought. Defence exports and the Arms Trade Treaty – is Australia missing in action? The 'inescapable clash of norms' allows us to contemplate the new balance of power in Asia. Next Monday is a public holiday in Australia, so posting will be light.